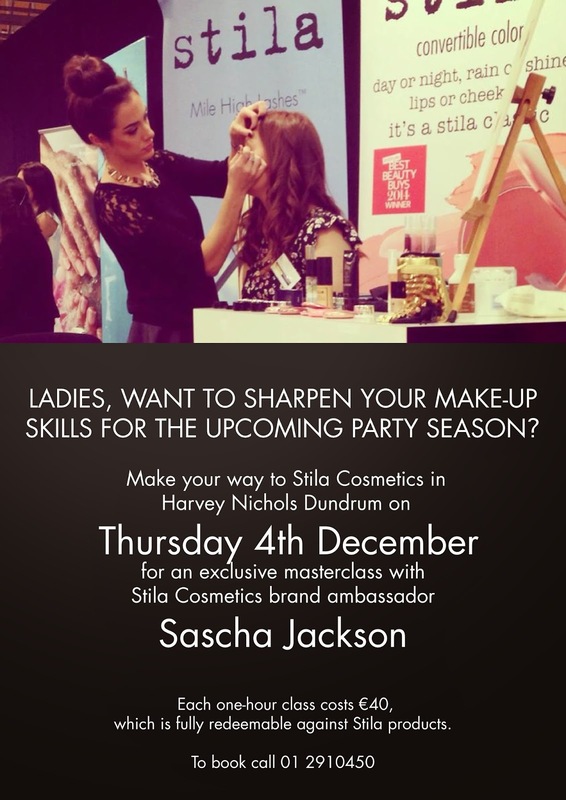 Stila are having a Masterclass with one of their Pro Artist Sascha Jackson on Thursday 4th December. The one hour classes cost €40 which is redeemable against Stila Products - just an FYI the kinda amazing Eyes are the Window Palettes cost €39 or you could pick up one of Stila's adorable Christmas gift sets. If you ever look at Stila on QVC (I know I do) Sascha is who you will see as the Face of the brand. I happen to know I will get along great with Sascha, not just because I am a HUGE Stila fan but also because we love some of the same Stila products including One step correct Longwearing primer and the Convertible colour (my hands down favourite Stila product. Stila are celebrating their 20th Birthday this year and have some incredible Christmas sets. This is a perfect opportunity to learn some tips and tricks while picking up a present or two.